Manchester United were still no closer to clinching a deal for Tottenham Hotspur's Toby Alderweireld on the eve of transfer deadline day, and instead considering finally meeting Leicester City's £75m (€83m) valuation for Harry Maguire. The English World Cup star is now said to be keen on the move, and that could yet save a window for Jose Mourinho that has been described as "chaos". The Portuguese has been insistent since the very start of the summer sales period that he wanted an authoritative centre-half alongside four other signings. While Alderweireld has long been the main target due to his experience, the difficulty of negotiating with Tottenham Hotspur has meant United consistently looking to other targets. 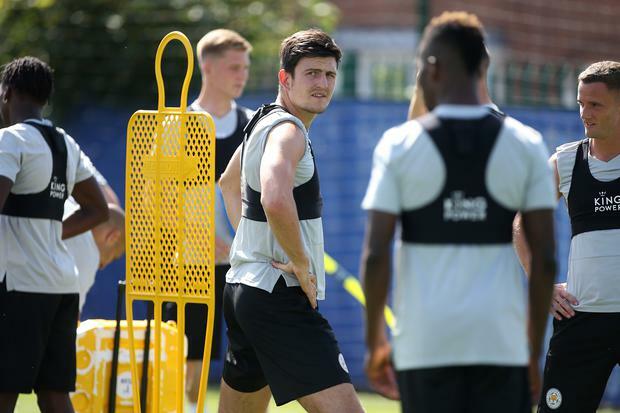 Some sources also maintain that Mourinho has changed his mind on possible options but with just hours of the window left, Maguire is considered the most viable alternative to Alderweireld. There has long been an expectation the deal for the Belgian will eventually get done but there was no sign of the deadlock being broken last night. Bayern Munich's Jerome Boateng has not been completely ruled out by those close to the United hierarchy, while some reports from France suggested Mourinho's former Chelsea defender Kurt Zouma was an option. Although Alderweireld's father had flown to England to advise in the event of any potential sale, the Spurs defender's camp were not overly optimistic of completing a deal last night. That could now open the door for Maguire, but United will still press ahead for the Belgian. Meanwhile, Tottenham Hotspur's late attempt to sign Jack Grealish will come down to whether the player can persuade Aston Villa's new billionaire owners to let him go after the rejection of Tuesday night's £25m (€28m) bid left any potential deal on the rocks. The midfielder strongly wants to leave, although his club's new owners, the Egyptian businessman Nassef Sawiris and American Wes Edens, are understandably reluctant to let him do so at the current price. It has been made clear to Spurs chairman Daniel Levy thus far that the England U-21 international is not for sale at the price offered and it seems Spurs will have to go above £30m at the very least to have any chance of negotiating a sale - although even that might not be enough. Levy went into the final day of a summer transfer window still yet to make a new signing having been told publicly by Mauricio Pochettino at the end of last season that the club had to be "bold" to move forward. Grealish believed that he had an informal agreement that he could leave Villa with the former owner Tony Xia, who retains a stake in the club but is not now making the major decisions.